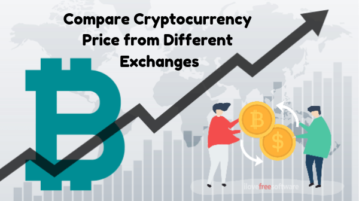 This article covers 4 free cryptocurrency price comparison website where you can compare cryptocurrency prices from different exchanges. 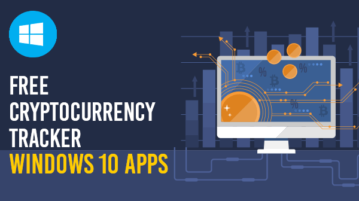 Here are 5 free cryptocurrency tracker apps for Windows 10. Check price, market cap, etc., for Bitcoin, Ethereum, Litecoin, and other cryptocurrencies. 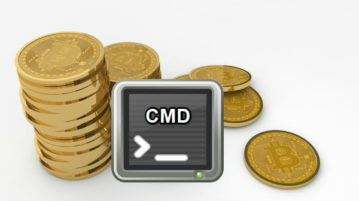 This tutorial covers how to see cryptocurrency price in Windows system tray. 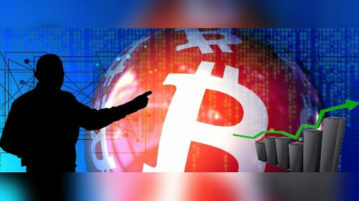 You can see the updated price of Bitcoin and other cryptocurrencies using “Crycker” software. It fetches data from CoinBase, Bitstamp, or Blockhain platforms and shows price for Bitcoin, Ethereum, Lite Coin, and Ripple XRP. 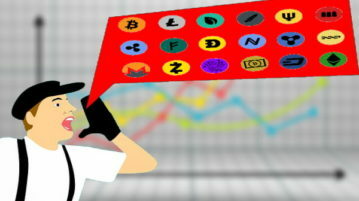 Here are 17 free online cryptocurrency tracker websites. 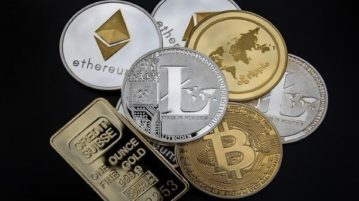 With these websites, you can easily track the market value of any cryptocurrency available in the market. 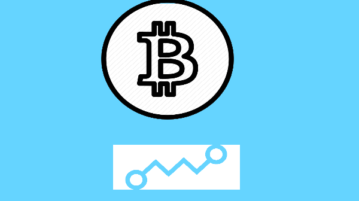 Here are 3 free cryptocurrency tracker software for desktop. 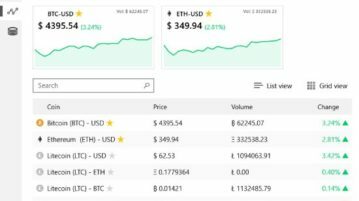 You can track prices of Bitcoin, Ethereum, Zcash, Ripple and other top cryptocurrencies. Cryptab is a free extension to see current price of cryptocurrencies in new tab of Chrome. 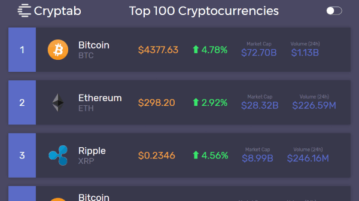 Shows top 100 cryptocurrencies based on price, market cap, etc. Crypto Chart is a Windows 10 cryptocurrency prices app wherein you can check the prices, volumes, and changes in cryptocurrency. Check it out. 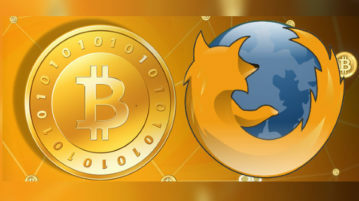 Free Firefox add-on to see Bitcoin price live. 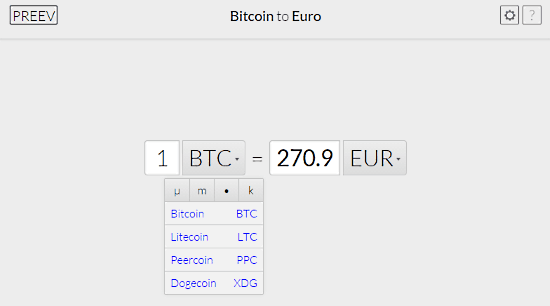 These Bitcoin Price Trackers for Firefox can show Bitcoin price in different currencies, different sources. Here are 5 free Chrome extension to see Bitcoin price live. 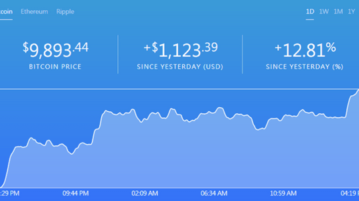 You can see live Bitcoin price in any currency with graphical stats using these extensions. 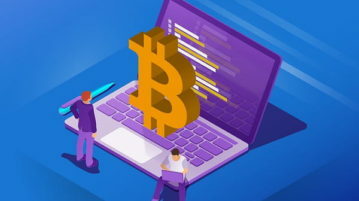 Here’s a list of 4 bitcoin wallet software for Windows 10 which you can use to create and manage bitcoin wallets on your Windows 10 desktop. Preev is on online currency converter to convert Bitcoin, Litecoin etc. It enables you to convert Bitcoin and similar currencies to any regular currency.